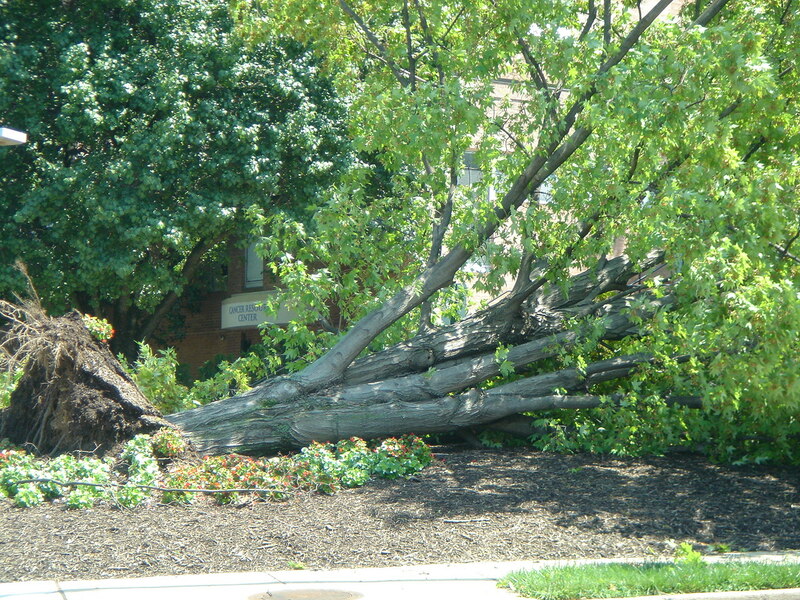 Irene was not kind to trees in our neighborhood. With ground saturated from a day of rain, powerful winds twisted trees out of the ground. The two downed trees that I observed today were in relatively exposed locations, on a corner and/or adjacent to a major road. The base of the fallen tree with roots exceeds six feet! Large oak fell across cars in the driveway and broke through the roof. The fallen tree appears to have lifted and broken some of the adjacent sidewalk. The tree pulled away from sidewalks on two sides, caution tape surrounding the gaping hole in the ground. 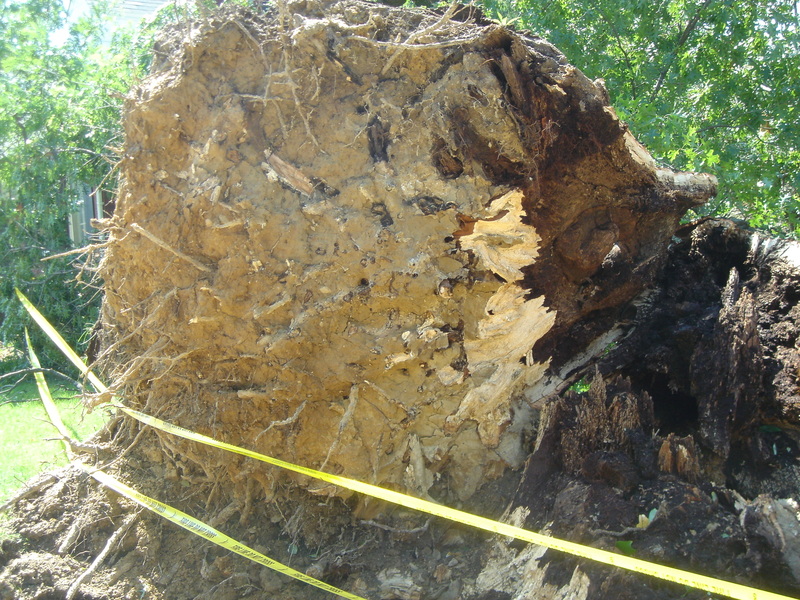 This oak tipped out of the ground and damaged the home, going through the roof in at least one place. I spoke with the mother of one of the residents and learned that no one was injured, but three cars were engulfed and likely totaled by the bulk of the tree. This occurred at 2:00 a.m. on Sunday morning. The road has been cleared of branches from this fallen tree but the uprooted trunk is clearly visible from the road. 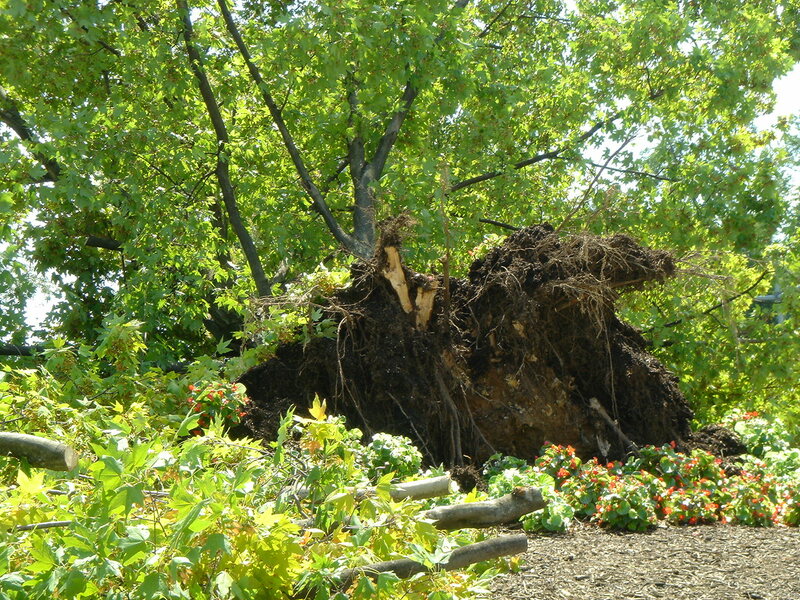 Uprooted tree seen from the street. 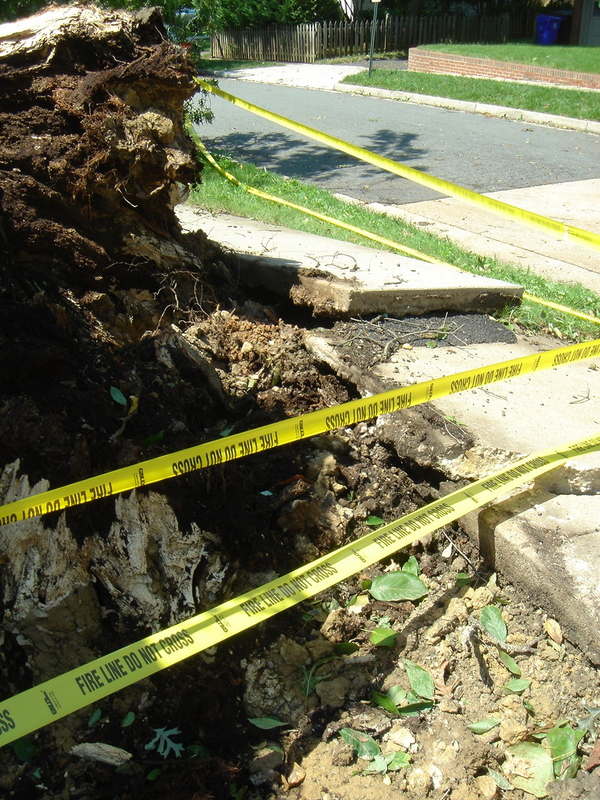 Tree uprooted in landscaping bed at Virginia Hospital off George Mason Drive. 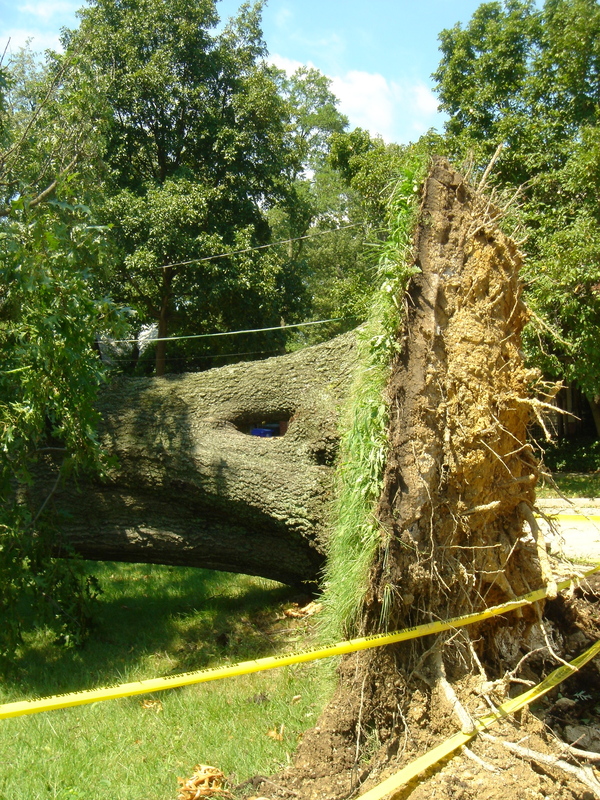 Learn more about trees, storms and why it’s so important to keep planting trees. 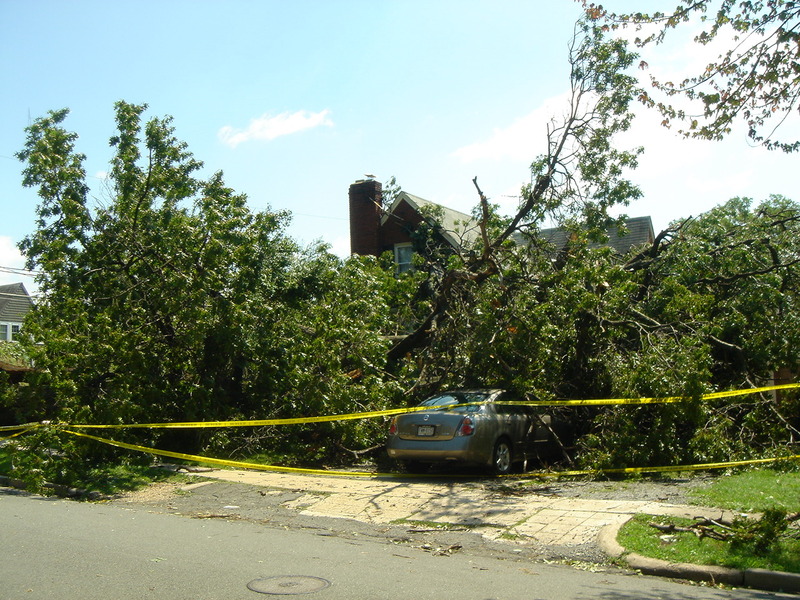 This entry was posted in Uncategorized and tagged Irene, storm damage, tree damage. Bookmark the permalink. It’s such a sad sight to see such beautiful things ravaged by the storm! Ouch. Glad no one was hurt. Mother Nature has her way of changing the environment, that’s for sure. I saw at least 4 downed trees on my bike trip through DC. It might have been a fairly mild storm, but it sure did push some of our green friends over. Many of them had seen better days, though, to be honest.